Ultimately, she strives to create musicians, each with their own heart, soul, mind, and a natural musical talent. Her students have praised her dedicated and inspiring teaching. She strives to instill a love for piano and overall appreciation for all music. Mrs. Terekhov wants to show the beauty and breadth of classical repertoire. She ensures that every student is confident in themselves and their musical abilities. She want them to be proud of who they are and what they are able accomplish. Mrs. Terekhov won’t allow her students to settle for less; on the contrary, aspire to be their very best. 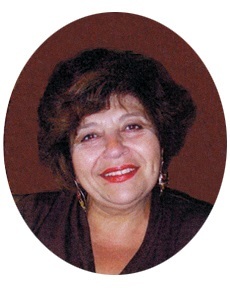 Inna Terekhov is an active member of the OMTA, RACE and RCME certificate programs. Her warm and patient teaching approach is particularly suitable for beginners and kids, but her exceptional performance background and artistry gives her the ability to confidently teach and prepare students at the most advanced levels. In addition to a very active teaching career, she has founded and in an acting Director of the Summer Piano Camp and Ensemble workshops at the Wyoming Fine Arts Center since 1998. Every year a large number of her students participate in the National and Local auditions, such as JMF Music Guild, Audition –Festival CCM, and JME where students are recognized with exceptionally high scores. Many of her students are prize winners in Local, Regional and National Competitions, such as OMTA, Buckeye, Heidelberg University Performance Competition, DePauw University, Young Artists Piano Competitions, Concerto competition at the UC- College-Conservatory of Music and others. Her students are very active in community service. Students in collaboration with Mrs. Terekhov have registered with the Cincinnati Chamber of Commerce as part of a non-profit music organization, “Share the Music”, founded in 2007. As part of this program, students perform throughout the Tri-State region at various retirement centers, nursing homes, hospitals and schools receiving great appreciation for sharing their passion of music and quality of performances. Mrs. Terekhov students often appear at Showcase recitals conducted by the OMTA at the Aronoff Center and Art Museum.